Back at U. Madison’s Conney Conference while doing the Cool Jew thang, I met classically trained dancer Adam McKinney, an African American, Native American, Ashkenazi and Sephardi Jew. 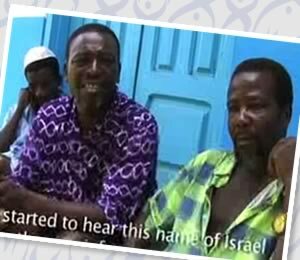 The project Adam co-directs and co-founded with Daniel Banks, DNAWORKS, was funded by the U.S. Embassy in Ghana to lead an oral history project with the Jewish community, some 200 strong, in Sefwi Wiawso in the Western Region of Ghana about 120 miles from Accra. Adam and Daniel spent Purim with the community–their first celebration of this holiday, led a Purim spiel and taught songs. They also spent Passover with the community and three Shabbatot. Adam is currently editing a film about this community; their experiences serve as a jumping-off point for DNAWORKSâ€™ on-going dialogue and creative work about Jews of color and of African heritage. Adam has performed with a number of acclaimed companies, including Alvin Ailey American Dance Theater, , Switzerlandâ€™s BÃ©jart Ballet Lausanne, and Alonzo Kingâ€™s LINES Ballet, Adamâ€™s commissioned production, â€œPathways,â€ opened November, 2008 in Jakarta, Indonesia to rave reviews. 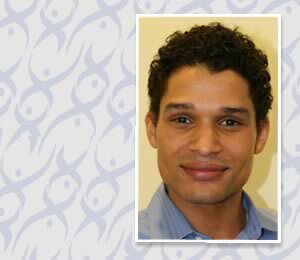 Adam has served as a US Embassy Culture Connect Envoy to South Africa and artist-in-residence at the South African Ballet Theatre, and has taught master dance classes around the world, including the University of Ghana and University of Johannesburg. He has also organized programs on social justice and the Arts with a long list of organizational partners, including Ghanaâ€™s National School for the Deaf, Ghana State Mental Hospital, City Ballet Theater, and Agulhas Theatre Works, a South African mixed abilities contemporary dance company. Adamâ€™s awards include the 2008 Jerome Foundation Travel and Study Grant, the Gallatin (NYU) Jewish Arts grant for work with Ethiopian-Israeli communities in Haifa, Israel, and the Bronfman Jewish Artist Fellowship for his genealogical dance and film work â€œHaMapah.â€ Named one of the most influential African-Americans in Milwaukee, Wisconsin, USA by St. Vincent DePaul of Milwaukee in 2000, Adam currently leads youth programming for the Jewish Multiracial Networkâ€™s summer retreats and sits on the board of United with In Motion. ← Previous Story And Remember: Mermaids Are Treif! Thanks Lisa! This is a great way to start my week! Adam McKinney was my camper when I was a counsellor and camp director at Midwest Camp Habonim Dror! Another highlight courtesy of Habonim Camp Tavor, which has produced a disproportionate amount of Jews doing very cool Jewish things. This is wonderful! Thanks for putting the word out! Adam and Daniel have continued their work criss-crossing the continents! They are having a fundraiser next week to raise money to send them to Israel! If you have any outreach, mailing lists, or groups you can bring to bear, please put the word out and have your contacts buy tickets to the event on August 26th or simply send in donations to support the work. Even a bunch of people could get together and send them one check on behalf of themselves, a synagog, or any group they deemed appropriate and help DNAWORKS continue their amazing work! Event info at the website: wwww.dnaworks.org. I feel like I’ve met friends on your site.